You can’t pound nails with a pound cake. The day I realized that cream crackers didn’t have cream in them is the day I started to question life! 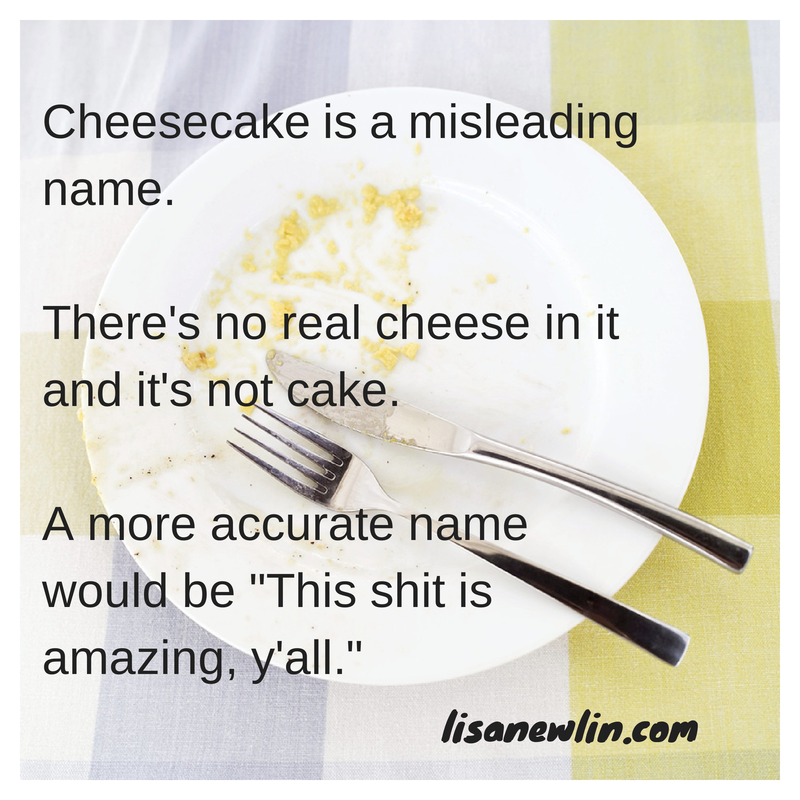 Cheesecake is a food group unto itself. I don’t care what’s in it either. It’s cheesecake and that’s all that matters! Ha! This is so true. Apple pie can’t compete.